You found this irresistible cheap, non-refundable flight to Greece – your dream destination. You purchased it right away and started planning what would be a fantastic trip. Then, all of a sudden, you get some undesirable news that will require you to either change plans or cancel the trip altogether. Then you realize those cheap flights you bought were non-refundable and feel like you lost not only your money but your dream trip as well. While this could be true, know that it doesn’t necessarily have to be. Non-refundable flights can be refunded under certain circumstances, and here I’ll share with you what to do should you need to cancel your trip unexpectedly. The US Department of Transportation requires airlines operating flights within or to the US to give customers a full refund if a cancellation is made within 24 hours of booking and the reservation is made more than seven days in advance of departure. You can cancel for any reason, no questions asked, and that refund will be made in the original form of payment. Know that for this to work; you must book directly with the airline, through their website or over the phone. Or, book via a flight aggregator that has a 24 hours risk-free cancellation policy. I always recommend booking directly with the airline as it’ll remove the third party, which often complicates things when changes and cancellations have to be made. 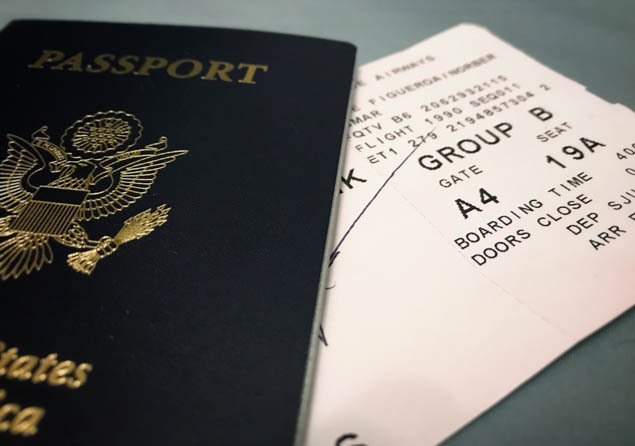 Canceling a non-refundable flight outside of the 24-hour grace period is more complicated and varies on a case-by-case basis, but here are a few cases in which you can get your money back, in one way or another. When the airline changes your flight schedule (usually over two hours’ difference), cancels the flight, or changes the route (adding a stopover on a direct route, change in arrival airport, and such), they are required to refund your money without any change or cancellation fee – even if the flight is non-refundable. Your refund will be sent in the original form of payment. Depending on the airline, some will offer to book you on a similar flight that works for you, at the same rate, or ask to pay the difference. A death in the family is one of those special exceptions that airlines respect and cancel your flights, no questions asked. But, you must provide proof that a family member passed away by sending the death certificate or funerary certificate of assistance. Some airlines will refund your money in the original form of payment immediately after you call to cancel your flight, while others will hold the money until you show proof of death. Other airlines, like JetBlue and Delta, will offer a refund in the form of an airline credit – to be used only by the original passenger. This credit usually expires a year after it was issued. In addition to canceling your flights, airlines also offer bereavement fares to family members should they need to purchase new flights to assist with the funeral or help with arrangements. These discounted bereavement fares are reserved for close family members and also require you to show some proof death and relationship to the deceased. Each airline has its own policies regarding cancellations and changes, and each fare offered by the airline comes with different rules governing cancellation and change fees. Should you need to cancel or change your flight outside of the 24-hour window, the recommended course of action is to visit your carrier's website to read up on its change and cancellation policies. Some airlines still allow for cancellation and refund in the form of an airline credit, minus the change fee. There could also be special exceptions that allow you to avoid change/cancellation fees based on your particular circumstance. Should you not be able to find your specific circumstance on their website, then I recommend to call the airline and speak to a customer service representative. Last but not least, is insuring your non-refundable flight – which is the most recommended course of action. Each travel insurance policy operates differently and offers cancellation refunds for unexpected events like, terrorism, sickness, bankruptcy, revocation of military leave, having to work during your vacation time, pregnancy, moving to a different state, hurricanes, and so on. Read the cancellation details on your travel insurance policy to know what is covered and what not. There are other travel insurance policies, like RoamRight’s Cancel For Any Reason, that will give you a broader financial protection should other events not usually covered by other policies occur – like not wanting to take that ski trip anymore because the slopes don’t have enough snow this winter. In these cases, RoamRight offers 75% of non-refundable trip costs. As you can see, a non-refundable flight doesn’t mean you have to lose your money and get stuck with a flight you won’t use.